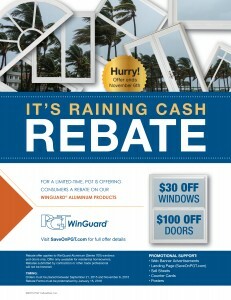 Check out the latest REBATE from our friends at PGT (on WinGuard Aluminum 700 series), then CALL the Lemon Bay Glass‬ team to Order + get your INSTALL happening. Orders must be placed between Sept. 21 and Nov. 6, 2015. Click on flyer image for more rebate info. 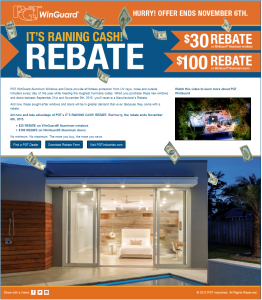 *Homeowners must download the rebate form at SaveOnPGT.com and refer to it for complete terms and conditions.